More than 57,000 people were taken to hospitals during the last three months due to the heat wave across Japan, government data showed Tuesday, with the figure set to reach a record high. A total of 57,534 people suffered heatstroke and heat exhaustion including 125 people who died from the heat between April 30 and July 29, according to data from the Fire and Disaster Management Agency. The number surged recently after the heat wave began scorching the country following torrential rains that caused massive flooding and landslides in the western Japan earlier this month. 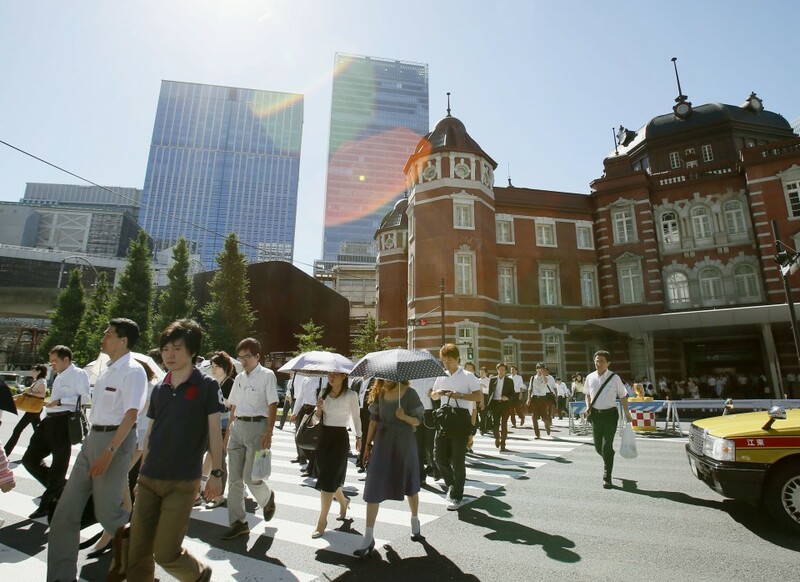 This year's figure has already surpassed last year's 52,984 and is expected to outstrip the record 58,729 in 2013, as the long-running heat wave sent the temperature to a record high of 41.1 C on Monday last week in Kumagaya, Saitama Prefecture, near Tokyo. Tokyo saw the largest number of people sent to hospitals at 4,648, followed by 4,345 in Osaka and 4,254 in Aichi. Of the 57,534 people, over 1,400 people needed to be hospitalized for more than three weeks and about 4,300 people called an ambulance from educational facilities such as schools, while elderly people accounted for 48.7 percent of the total. Over the week to Sunday, 13,721 people were sent to hospitals, down from the previous week's figure of 22,647, which marked a record-high since comparable information became available in 2008.